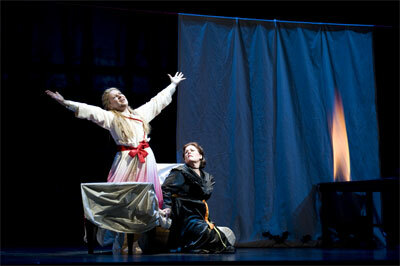 Isolde begs Brangäne(Margaret Jane Wray) to quench the light so that Tristan can approach. 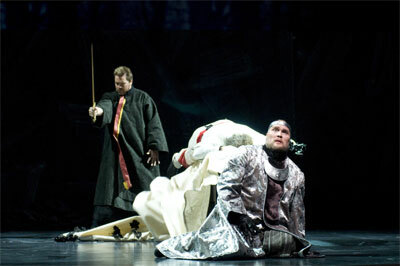 King Marke (Stephen Milling) asks why his wife and his nephew have betrayed him. 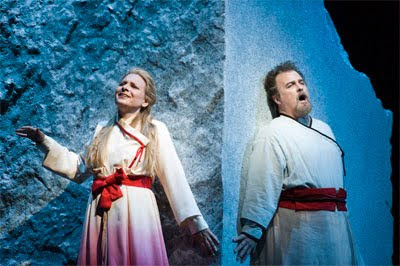 Click Here to view more photos from Tristan und Isolde's final dress rehearsal.